My ankle was still a little stiff from my fall on Saturday, but nothing too bad. I think it did hinder me a bit, but I didn't need to go too heavy anyway. Deadlift day is probably where I'm most affected by my injuries. The lack of control of my right calf combined with the lack of a left calf means I have terrible balance. 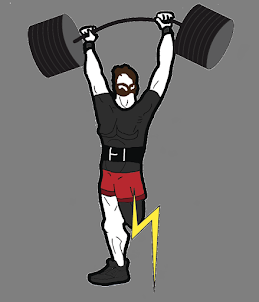 Then you add in the short range of motion my left knee is capable of and the damage to all the muscles in my upper left leg and hip, and you get a perfect storm of terrible deadlifting. These things are why I don't compete standing in disabled competition, I just can't compete on the level of everyone else when I don't even have a good leg. If you go back to my training log post for Saturday, you'll see how these things affect my log clean and press and what I've done to modify the clean. As I said, I wasn't able to go very heavy today, and I didn't really need to anyway. 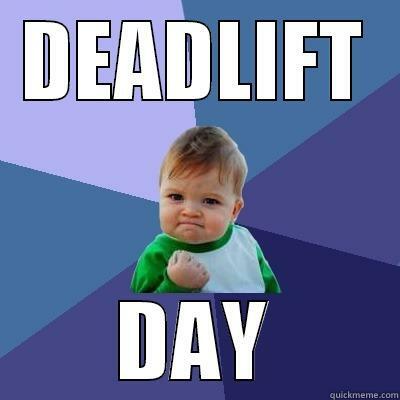 For me, deadlifts are an assistance exercise to keep me walking and doing other daily tasks. After this, I did a quick stupid complex of barbell deadlifts and power cleans with 135lbs. I only managed to get through it twice before I ended up just doing a high pull on the third pass. I like rowing on the Concept2 or similar rower for cardio more than any of form of cardio. I'm able to keep my heart rate elevated for a longer period of time when doing steady state cardio, and I can do sprints as well. Neither of these is easy for me to do while walking, and I'm more likely to tear myself up. It's been a while since I was consistent with my cardio, so I've been working my way back up. I did 500m as a warmup, then did 10 minutes. I hope to get back to being able to do longer distances and times without a problem soon.